In an ideal world, the final specks of dust won’t have hit the ground yet in the wake of Jaime Elizondo’s departure from the Ottawa REDBLACKS before his replacement is found. The team is in a precarious situation, searching for a new OC with training camp just six weeks away from opening. With that time frame and the limited availability of traditional hires — rosters have been set for weeks across the CFL — coach Rick Campbell has said he’ll have to think outside of the box on the hire. That’ll include digging through a lifetime of football connections on both sides of the border. Campbell has stressed that he needs the hire to be a good fit with his present coaching staff and that his search will be an extensive one. With the pickings slim at this time in the year, here are five non-traditional hire suggestions. If Campbell wants someone that would know the offence and some of the personnel, Burris fits the bill. Does Hank have an interest in coaching? Would he be a good coach? 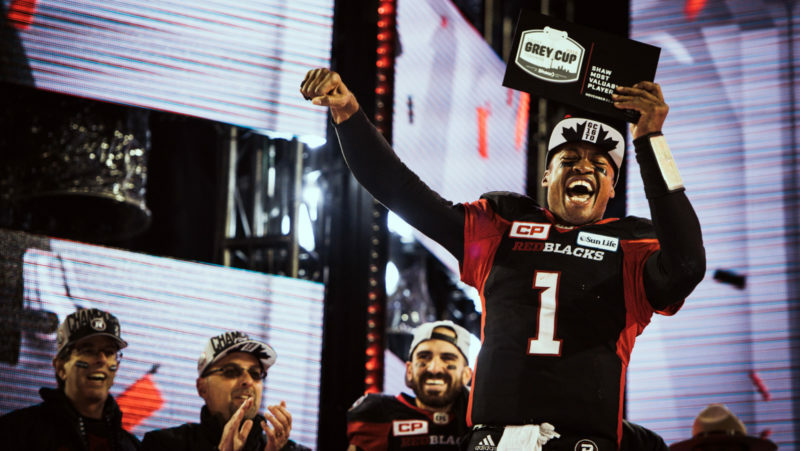 Would it be strange for the organization to hire the quarterback from their Grey Cup-winning team 2.5 years after he retired? These are all valid questions that would have to be answered. Burris’ name was brought up to Campbell on TSN 1200 in Ottawa Monday. There’s one obvious similarity with a Burris hire in a Ray hire and that’s a complete lack of coaching experience. We saw with Anthony Calvillo in Montreal that even a brilliant quarterback is in deep when given an OC role too early in their coaching career. But the REDBLACKS are in an adverse situation and Ray has at least expressed an interest in coaching over the past few years. The plan in Edmonton, according to Postmedia’s Terry Jones, had been for coach Jason Maas to hire Ray when he retired and groom him to be the Esks’ OC. Ray’s future in football would need to be addressed here as well. He hasn’t announced his retirement, but his playing options are drying up across the league for this season, at least, barring an injury or a willingness on his part to work as a backup. Ray also has history with Campbell, spending eight years with him in Edmonton. The former Winnipeg Blue Bombers’ QB seems to be pretty comfortable in Calgary, where he’s been the QBs coach for the last three years. 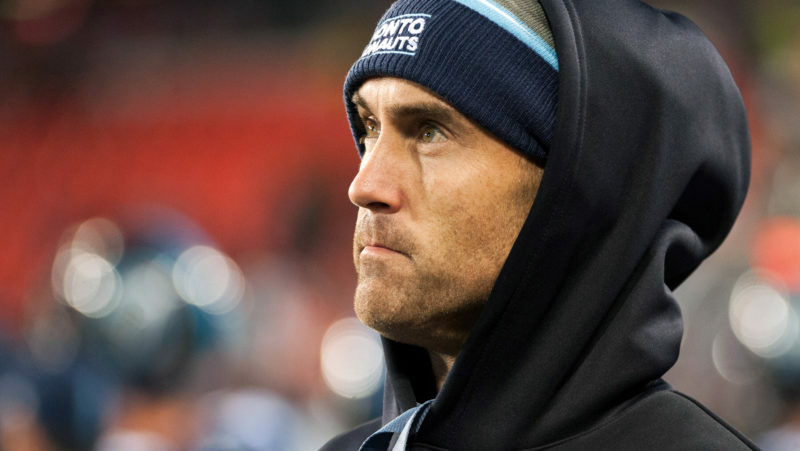 The Argos offered him an OC job this winter, according to 3DownNation’s Justin Dunk, but he opted to stay in Calgary, where he helped Bo Levi Mitchell to a MOP, Grey Cup-winning season in 2018. Dinwiddie was in Montreal before going to the Stamps. He started out as QBs coach there and served as the Als’ OC in 2014 and was co-offensive coordinator in 2015. 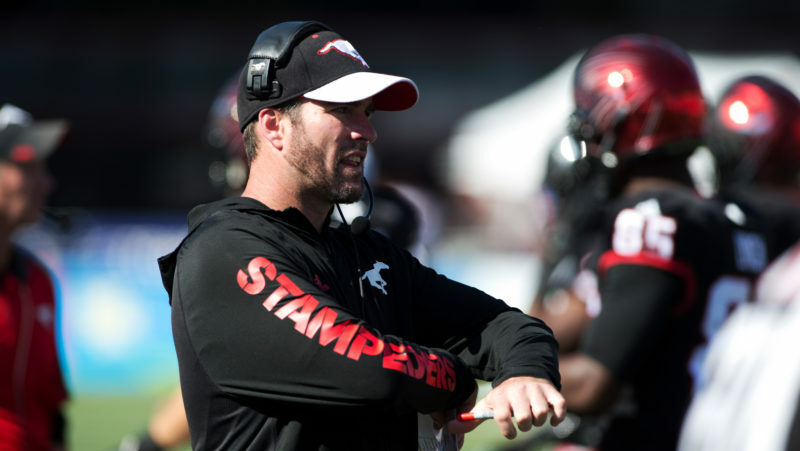 Dinwiddie would be a qualified candidate for the job, but prying him away from the Stamps would be a huge hurdle. If he wouldn’t leave in December, why would he leave the Stamps in April? 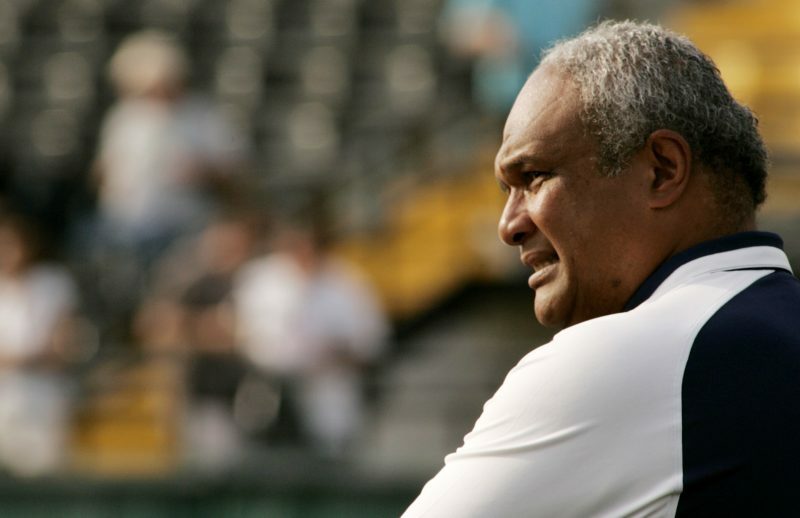 A legendary CFL figure who had an 11-year career as a player and spent 19 years as a CFL coach, Paopao could be an option for Campbell to consider. His last work in Canada came with the Simon Fraser University Clan, where he served as OC in 2015 and 2016. The 63-year-old last worked in the CFL in 2014, when he was the BC Lions’ receivers coach. Paopao has a history in Ottawa as well, quarterbacking the Rough Riders in 1987, then returning as the Renegades’ head coach from 2002 to 2005. Like the organization at the time, Paopao struggled, compiling a 23-49 record. Barresi might be a tough get at this point in the season, but it would be a quick visit across the city for Campbell to make his pitch. The head coach of the University of Ottawa Gee Gees since 2013, Barresi played for the school as a quarterback in the late 1970s and started his coaching career there as an assistant. He racked up 20 years’ worth of experience of NCAA coaching before coming to the Ticats as their OC in 2004. He was a positional coach in BC and Saskatchewan before taking the OC job in Winnipeg in 2011, part of the Swaggerville Bombers that played for a Grey Cup. After working as run game coordinator for the Esks in 2012, he went back to the U of O, producing a string of CFL players since, including last year’s rookie of the year and special teams player of the year Lewis Ward. Tuesday’s news that the Alliance of American Football League was suspending its operations opens up an entirely new market of coaches for the REDBLACKS to consider. A quick scan through some head coaches, offensive coordinators and QB coaches around the league turn up some interesting names. Former Winnipeg Blue Bombers coach Mike Riley (San Antonio Commanders) is the most prominent name on that list, though he left the CFL in 1990 for a career that’s taken him through the NCAA and NFL. His offensive line coach in San Antonio was Jonathan Himebauch, who has coached the OL in Montreal, Edmonton and Toronto. Dennis Goldman and Ray Rychleski had stays with Hamilton and Montreal, respectively in the past. David Lee, the QBs coach with the Memphis Express, has no CFL experience but has a resume full of QB coaching experience in the NCAA and NFL, with some OC stints mixed in.